Home→Contests→Win an Advanced Copy of THE GREENFATHER! ← The Washington Post Loves CRIME PLUS MUSIC! What happens when you fuse The Godfather with grapefruit? Crime Families with cauliflower? Killers with kale? The answer is a hilarious, satirical romp through New York as Simon, local organic grocer, gets forced back into his family’s mafia past and becomes the most environmentally conscious mob boss the city has ever seen. 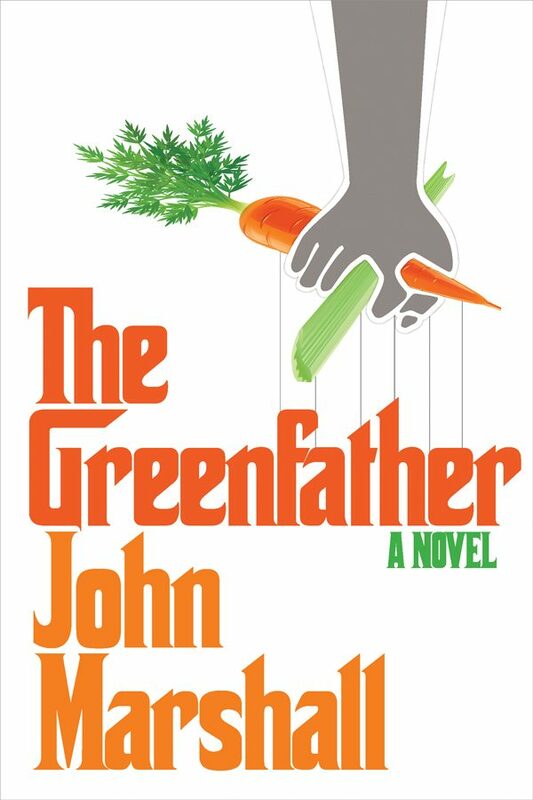 Late night TV writer John Marshall unleashes his comedy expertise into his debut novel, The Greenfather, providing a sharp and hysterical new look at a not-so-typical mafia story. Follow Simon as he reimagines the mob, bringing his passion for healthy eating and passion for eco living and blends it with the thuggery and violent atmosphere of the mafia world. Enter to win one of 5 signed, advanced copies of this highly anticipated novel, and look for it on shelves May 2017!